Warm weather, new products, rising consumer confidence are factors. 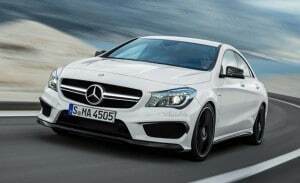 A flood of new products, like this Mercedes-Benz CLA45 AMG, has helped warm up the U.S. market after a cold winter. As much of the country shakes off the winter doldrums and heads for what has traditionally been the year’s busiest season, sales of new cars, trucks and crossovers appear to be picking up some significant momentum. After a frigid start to the New Year, demand has been heating up in April, according to a number of preliminary reports which see the warmer weather as one key factor – though buyers also are being lured back to showrooms by a flood of new products. And improved consumer confidence is helping, as well. Sales appear to be heading for the 16 million mark on a Seasonally Adjusted Annual Rate, or SAAR, for April, according to new surveys. By comparison, the industry sold 15.5 million new vehicles for all of 2013. Meanwhile, J.D. Power & Associates estimates consumers will spend $33.5 billion purchasing new vehicles this month, a record for the month, topping the $30.5 billion motorists spent in April 2005. “Auto sales are hitting their stride as the spring selling season begins, and the pace has returned to the level expected at this stage of the recovery,” said Jeff Schuster, senior vice president of forecasting at LMC Automotive. Monthly sales totals are due out this week, and the industry will be watching closely. After a strong finish to 2013, demand unexpectedly slacked off sharply in January and February, with frigid weather taking much of the blame. On the positive side, industry analysts have been betting that the harsh winter only delayed demand and, if anything, may actually build momentum this spring as buyers rush to replace vehicles that might not have survived the Polar Vortex. “The April 2014 consumer spending reflects a combination of record average transaction prices—which, at nearly $29,800, surpasses the previous April high of $28,754 in 2013—and strong retail sales volume,” said John Humphrey, senior vice president of the global automotive practice at J.D. Power. The Average Transaction Price, or ATP, reflects what buyers are actually paying once sticker prices are adjusted for incentives and discounts, as well as options. If anything, there were a lot more rebates and other incentives going around. The industry average incentive spending per unit will be approximately $2,751 in April 2014, an increase of 8.9% from April 2013 and a rise of 1.0% from March of this year, according to True Car. The lure of better discounts clearly helped spur demand, but so did improved consumer confidence, according to an ongoing series of monthly studies by the University of Michigan. April levels came in just one index-point below the post-recession peak, according to Michigan economist Richard Curtin, director of the surveys. The recent gain, he said, was due to much more positive assessment of consumers’ current financial situations as well as renewed optimism about the outlook for the national economy during the year ahead. The big question, cautioned Curtin, is whether consumer confidence will backslide in the months ahead. There appear to be a few intriguing surprises in the preliminary April new car sales data, notably who is purchasing a new vehicle and how they are paying for them. Buyers 35 years of age and younger are expected to account for 25% of new-vehicle retail sales in April, marking a rebound to pre-recession levels. Additionally, nearly one-third of new vehicles sold in April will be financed with a loan of 72 months or longer, with younger buyers, in particular, using longer-term loans to manage their monthly payments. “Among buyers who are 35-years old and younger, 44% opt for 72-month or longer loans, while only 25% of those who are 55 years and older use an extended loan term,” said Power’s Humphrey. Another positive factor for the industry is the strong response manufacturers are receiving as they flood the market with new product. Ford, for example, plans to bring 16 new models to the U.S. this year. All told, the number of new models reaching showrooms will increase by 60% from last year, noted LMC’s Schuster. “Nearly one-half of the new-model activity in 2014 will be premium vehicles, which is expected to create new competition for mainstream segments as premium price points cross into those of many non-premium models,” said Schuster. 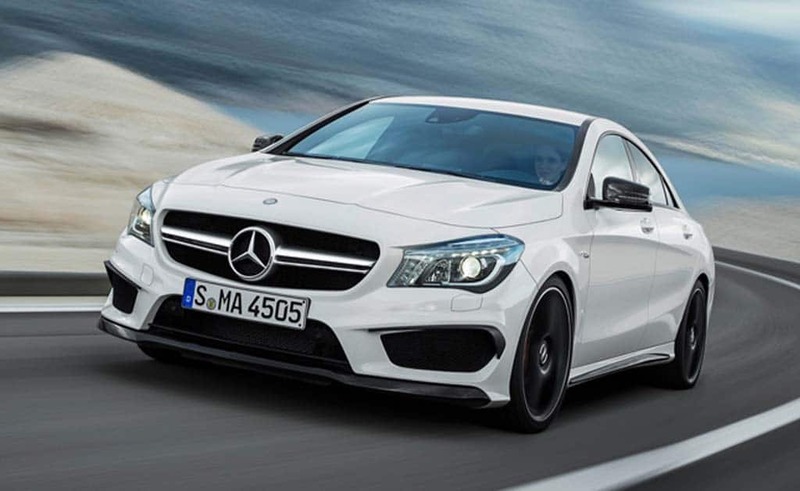 Many of the newest models are concentrated in the entry-luxury class, offerings like the Mercedes-Benz CLA and Audi A3 expected to help the segment nearly double its total volume this year. This entry was posted on Monday, April 28th, 2014 at and is filed under Automobiles. You can follow any responses to this entry through the RSS 2.0 feed. Both comments and pings are currently closed.